90 minutes: So many subawards, with so little time. How do you manage all the requirements for contracting, audit, compliance, internal controls, and still maintain your sanity? This webinar will focus on strategies and best practices for managing subawards for both the central administration office and academic departments. It will cover streamlining and simplifying monitoring processes, all while meeting federal obligations and protecting the institution. Prerequisites: Participants will want an understanding of subaward issuance and monitoring, and want a deeper dive into implementing subrecipient monitoring policies at both the central and departmental level. The subrecipient monitoring requirements, per the Uniform Guidance (UG). What must (vs. should) institutions do to comply with the requirements per the UG. How to determine your organization’s risk appetite when designing policies and procedures. 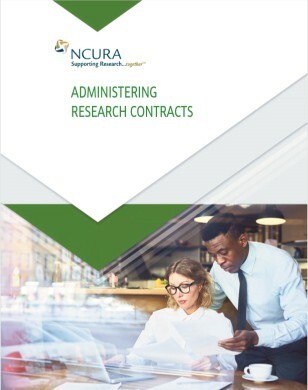 How central administration and academic departments can work together to participate in compliance with the regulations. Best practices for audit, with a discussion of audit experiences, from the perspective of both central and departmental administration. This webinar will offer participants an opportunity to take a look at some fundamental contracting concepts and then delve into more complex issues associated with terms and conditions. 90 Minutes: This webinar will offer participants an opportunity to take a look at some fundamental contracting concepts and then delve into more complex issues associated with terms and conditions. Topics to be covered include: fixed price vs. cost reimbursement; indemnity, liability, warranty and re-performance; termination for convenience and for default; arbitration and choice of law. The discussion will include examples of what to watch out for as well as the potential negative impacts to the institution. The session will also propose strategies for mitigating risk associated with these contract requirements. Prerequisites: Participants should have a basic understanding of contracting concepts and terminology. This webinar will provide an overview of NSF's Grants Awards Process and Cash Payment processes and procedures. 90 Minutes: This webinar will provide an overview of NSF's Grants Awards Process and Cash Payment processes and procedures. This webinar will apply to individuals who file financial reports and manage incoming NSF cash. Departmental grants administrators trying to interpret a notice of award and those needing an understanding of NSF post-award requirements are also encouraged to attend. Everyone will benefit! Prerequisites: Basic knowledge of the Grant pre-award, the award process, and the cash management processes would be helpful.